The Boxing Truth®: Will Wilder Impress In First Title Defense? One of the more interesting stories in the Heavyweight division as well as the entire sport of Boxing in recent years has been the rise of Deontay Wilder. Wilder, the 2008 Olympic Heavyweight Bronze Medalist quickly earned a reputation as one of the sport’s feared knockout artists upon turning pro in November 2008. 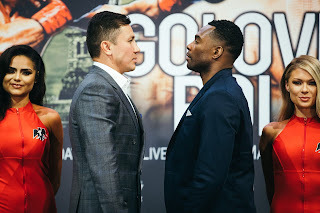 Much like current unified Light-Heavyweight world champion Sergey Kovalev and current unified Middleweight world champion Gennady Golovkin who both were able to garner significant attention by compiling knockout streaks, Wilder began his career with thirty-two knockouts consecutive knockouts. Wilder’s reputation as a knockout artist eventually earned him a world title shot against WBC Heavyweight world champion Bermane Stiverne. When Wilder met Stiverne on January 17th of this year however, he proved that he is more than a mere power puncher as he out boxed the champion over the course of twelve rounds to earn a lopsided unanimous decision, the first decision victory of his career. The win for Wilder not only earned him a world championship, but also established him as the first American World Heavyweight champion in the sport in nearly eight years. Although some have been critical of Wilder throughout his career due to questions about his level of opposition prior to his fight with Stiverne, it was an impressive performance that did answer questions about his ability to respond to being taken into the late rounds of a fight and he also showed a solid chin when tested by Stiverne’s power. Now as one of only two world champions in the Heavyweight division Wilder prepares to make the first defense of his world title against current WBC number nine rated contender Eric Molina on Saturday night at the Bartow Arena in Birmingham, Alabama. For the undefeated new world champion and Tuscaloosa, Alabama native Wilder, a victory in this fight could lead to a unification bout against current unified IBF/WBO/WBA/IBO world champion Wladimir Klitschko in the near future to determine an Undisputed Heavyweight world champion. In Eric Molina, Wilder will face a veteran of twenty-five professional fights who will enter this fight having won his last five fights. The most notable victory for Molina in his last five fights came when he scored a fifth round knockout against former world title challenger DaVarryl Williamson in May 2014. In his last fight, Molina scored an eighth round knockout over Brazilian contender Raphael Zumbano on the undercard of Wilder’s fight against Bermane Stiverne. In that fight Molina was able to have significant success landing his right hand and mixing in uppercuts on Zumbano in a bout that Molina dominated throughout. Molina did show his Boxing ability in that fight as well, but allowed Zumbano to walk straight in and put him in position of having to fight off the ropes. It will be interesting to see what Molina’s strategy will be against a fighter in Wilder who is quicker, has a three inch height advantage, a four inch reach advantage over him, and has significantly more power than Zumbano. Although Molina has scored three knockouts in his last five fights and has scored seventeen knockouts in twenty-three career victories, what should not be overlooked is Molina’s two losses both came as a result of first round knockouts against Ashanti Jordan in his first pro fight in March 2007 and against former world title challenger Chris Arreola in February 2012. The key to this fight in my eyes will be whether Molina can negate Wilder’s power. Even though Wilder went the distance in his last fight, he is still a fighter with a career knockout percentage of nearly 97% who has also scored eighteen knockouts in the first round. It is logical to assume that Wilder will look to jump on Molina early should the opportunity present itself. In what will be the first title defense of a World Heavyweight championship by an American fighter in eight years and eleven days since Shannon Briggs lost his WBO Heavyweight world championship to Sultan Ibragimov on June 2, 2007, one may wonder if this fight will in some ways be the beginning of a new era for the Heavyweight division. This observer is not sure whether this fight will signal the start of a new era. If Deontay Wilder however, manages to impress his fans and critics alike by making a statement in his first title defense, it just may put him on a collision course with the most dominant Heavyweight of this era. A fighter named Wladimir Klitschko.